If you run your own business, you know how difficult it can be at times, especially as the economy rises and falls throughout the years. The best way to handle the changing times is to form a business plan that will set your business up for success. A business plan has many advantages that can keep your business going and help you expand your market as time goes on. 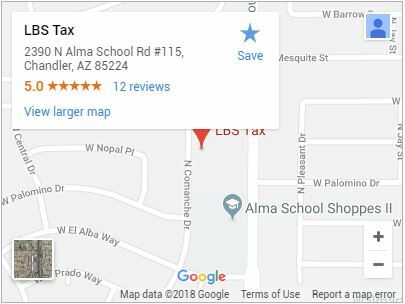 If you need help forming your business plan, a tax professional in Chandler can work with you to develop something that works. By setting up a business plan, you set your business up for success now and well into the future. While you go about your daily routines, it can be easy to forget what your original strategies and goals were. By setting a business plan and sticking to it, you will always have those overall goals in mind. This means that as you go about your daily routines, you will not forget what you are working towards. Your business will be set up for success this way, as you and your employees will keep the bigger picture in mind and will be less likely to stray off track as the grind goes on. By forming a business plan, you will be better able to set responsibilities to your employees. This will also help clarify the responsibilities each person has to take care of every day. Without a business plan, these tasks can get confusing and people may begin to argue over who needs to do what. With a business plan, each person will know his or her task, and will have a set goal to accomplish that task each and every day. As a whole, your business will thrive when everyone knows what is expected. Mismanagement is the bane of any business, and often results in troubles arising. With a business plan developed and implemented on your business, you will be better able to manage cash flow and plan for future endeavors. With the help of a professional, you can turn a business plan into a guide that allows you, your staff, and your business to thrive well into the future. This is better for everyone involved and will set you up for success.